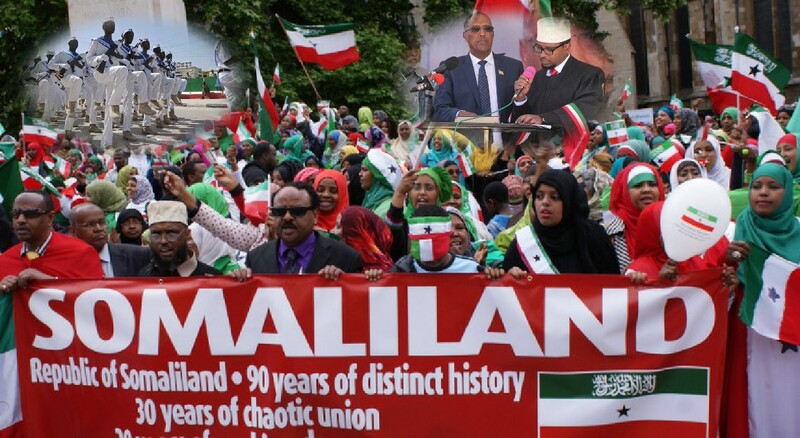 Home International Politics Somaliland Recognition as Sovereign State is Long Overdue. How? The two nations – Somaliland state and Somalia state then agreed to form a union called the Somali Republic, not Somalia. The Act of Union clearly states “[t]he State of Somaliland and the State of Somalia do hereby unite and shall forever remain united in a new, independent, democratic, unitary republic the name whereof shall be the SOMALI REPUBLIC”. Therefore, it is technically wrong to suggest that Somaliland is seeking independence from Somalia or to say Somaliland is seceding from Somalia. Somaliland simply withdrew from a “union”, whose legal status under international law was a suspect in the first place. The “union” honeymoon was short-lived and the people of Somaliland immediately realised they had made a colossal mistake; they overwhelmingly rejected the Union Constitution when it was put to a national referendum in 1961, although the people of Somalia ratified it. In 1991, when the central government of Mogadishu collapsed and civil war broke out in Somalia, it was no surprise that the Somaliland people exercised their right to self-determination and brought to an end the legally dubious union of the two states, Somaliland and Somalia. Somaliland President Muse Bihi Abdi Receives United Nations Secretary-General’s Special Representative for Somalia Nicholas Haysom. The world and Africa has a lot to learn from Somaliland success story. Today, Somaliland is one of Kenya’s biggest markets for Khat and is even pushing for more economic and cultural ties with the country. While most countries in the Horn of Africa are still lost waging ‘unnecessary and primitive’ civil wars after every election, Somalia is an example of a mature state where rule of law reigns supreme. Unlike some African countries, Somaliland enjoys peaceful changes of power which occur regularly. The last two changes were made after national elections in 2003 (which was won with a wafer-thin majority of just 227 votes) and in 2010. Somaliland is an example of a country where governmental institutions strive to be inclusive and willing to govern through consensus. The country lives by the rule of law and adjudications through courts of law. An independence monument in Hargeisa, Somaliland. The current relationships that Somaliland has with Ethiopia and Djibouti show how a recognised Somaliland can strengthen the peace in an otherwise volatile. In today’s world where extremism is finding a listening here in some countries, Somaliland is a bulwark against terrorism and an unswerving ally of all the countries fighting terrorism and extremism. There is no place for pirates onshore or offshore in Somaliland and those who have been captured by Somaliland forces are tried and serve long sentences. The country is a committed opponent of the piracy that has plagued the Gulf of Aden and the Indian Ocean, and its “apologists”.